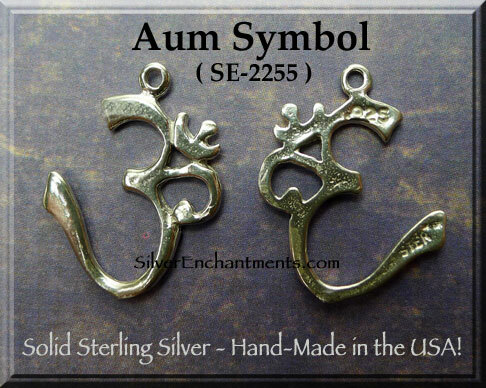 Sterling Silver Om Charms - The Devanagari symbol for "om". Include this om symbol charm as a focal piece in your jewelry designs or around the house to express your spiritual dedication, or as a reminder of the importance of personal meditation on a charm bracelet. Please note that charm measurements do not include the length of any removable attachments. These will vary some, but a standard jump ring would add about 4mm (~1/8") onto the overall length. The Om is the sound of the universe itself. It is the sound of all sounds, the origin of being and the end of being, the first and last word of creation. The word of the One. According to tradition, every 'thing' manifest comes from Primordial Vibration, which is symbolized by Aum: all material objects, all living beings, including each of us, all spiritual teachings, including Yoga, all languages, including Sanskrit, all scriptures, including the Vedas, everything. Everything has come out of Primordial Vibration, which is represented by Om. 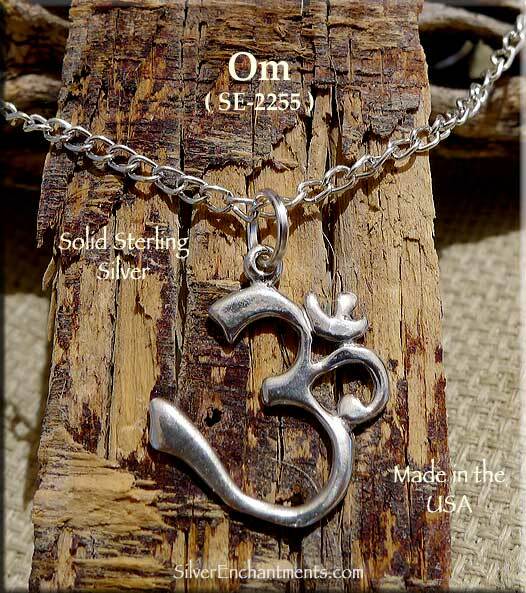 > You can Customize this item into an Om Necklace -- Choose from : Charm Only, or on a Sterling Silver Necklace Chain (see last picture for current chain style). 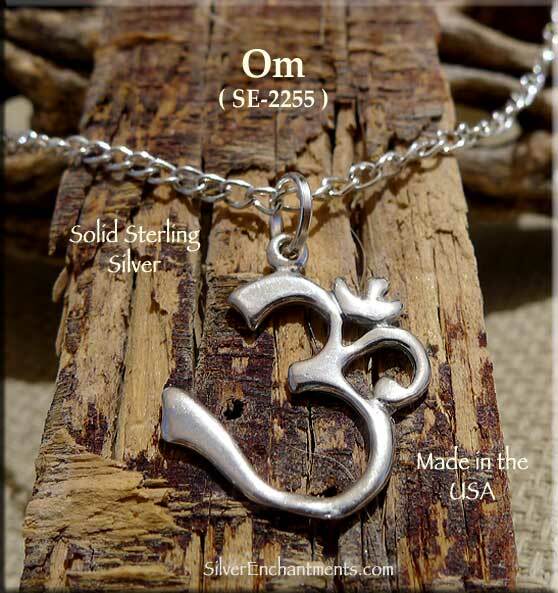 When selecting on a SS Chain, your Solid Sterling Silver Om Necklace will come Boxed. 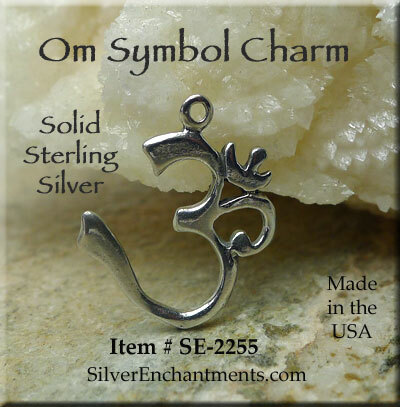 > This charm can also be converted into a Custom made Sterling Silver Dangling Om Earring. If you need a pair of them, order 2.